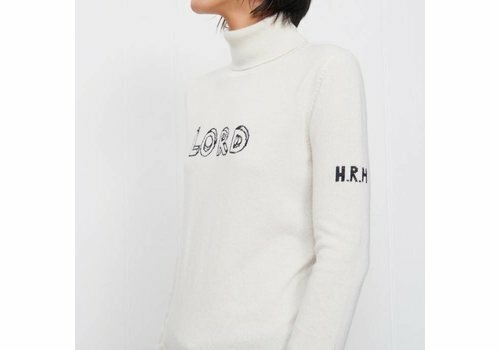 Globally known for her instantly recognizable knitwear Bella Freud's signature jumpers have garnered a cult following amongst the world's most stylish. 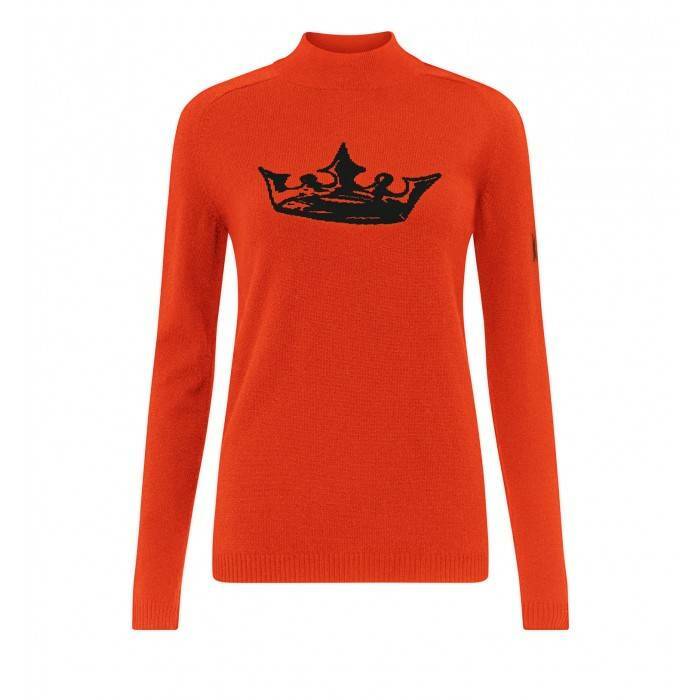 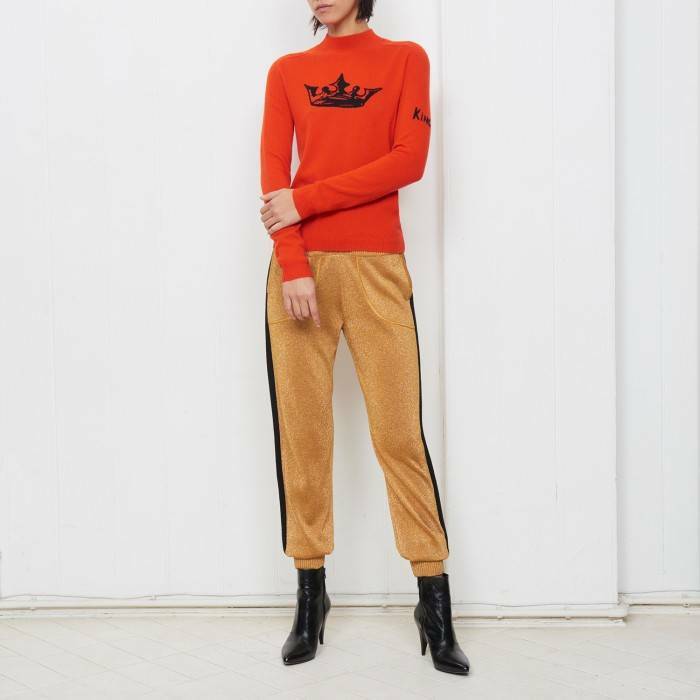 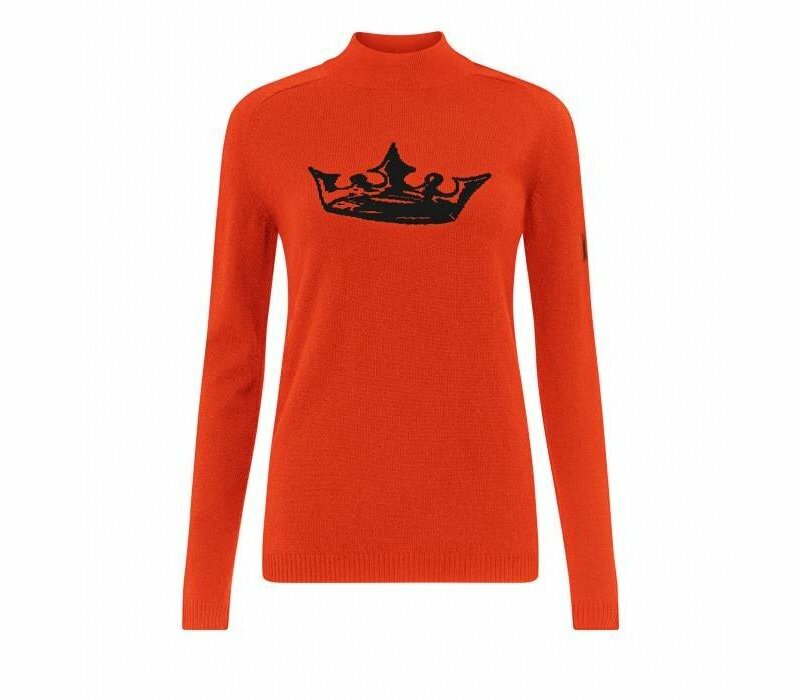 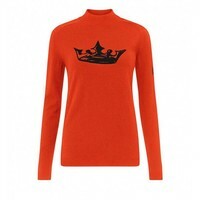 This fine gauge Cashmere turtle neck sweater features a ribbed neck, hem and cuffs with crown intarsia and 'King' detail on sleeve. 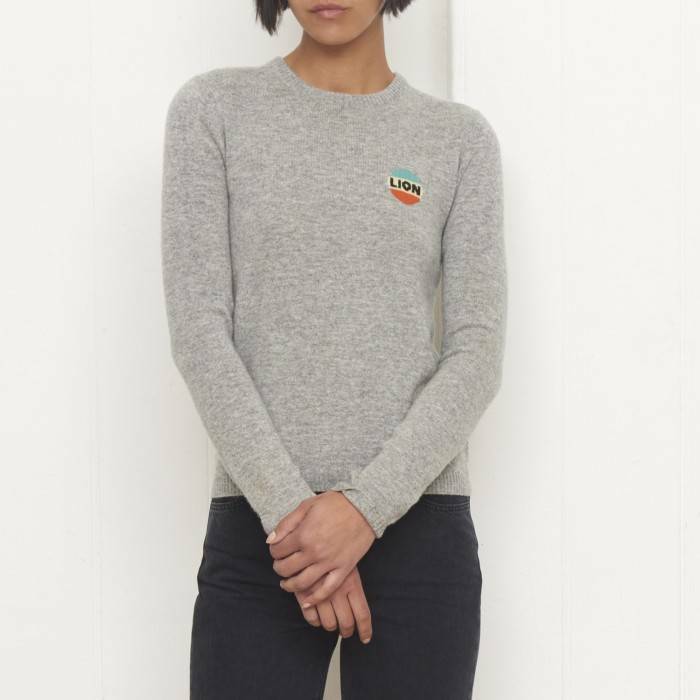 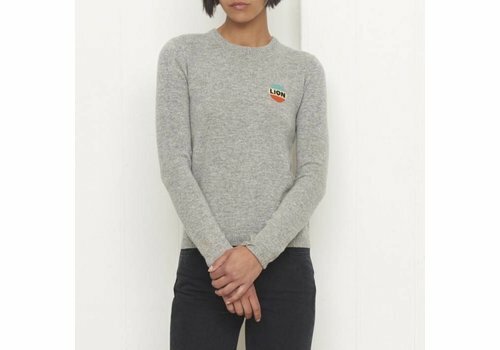 This Wool Cashmere mix crew neck sweater features a ribbed neck, hem and cuffs with Lion emblem intarsia. 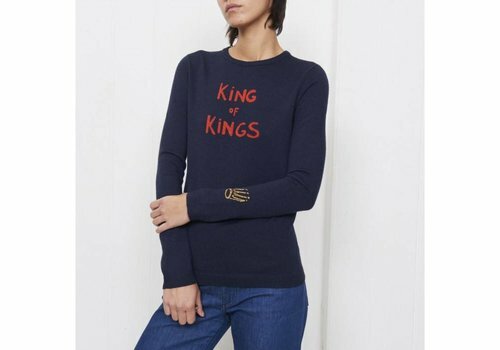 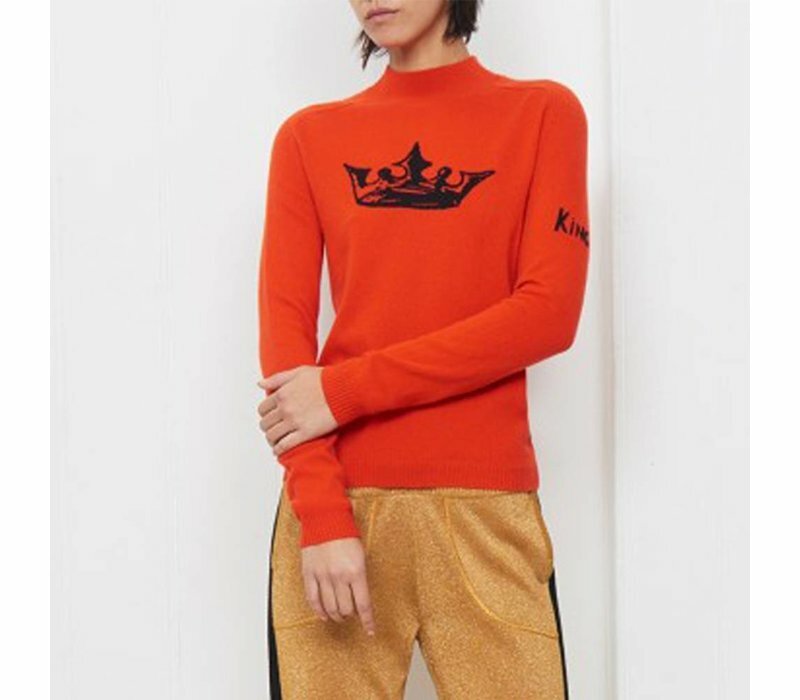 This Merino wool fine gauge crew neck sweater features ribbed neck, hem and cuffs highlighted with sparkle stripe and 'King of Kings' sparkle intarsia and sparkle crown on the sleeve.